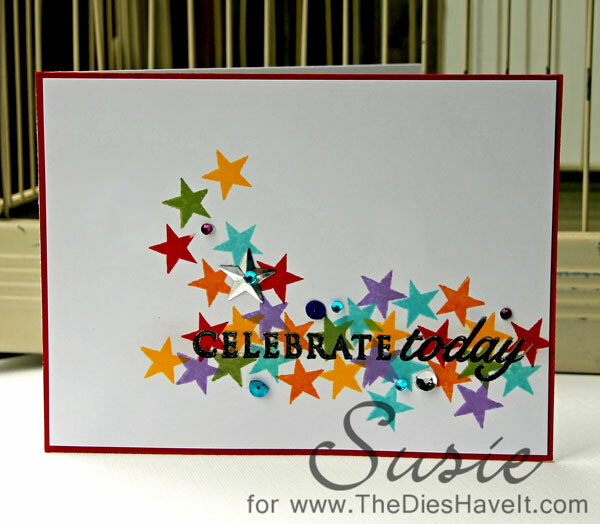 This is my second attempt at making a card for this week's Make It Monday Challenge over at PaperTrey Ink's blog. On my earlier card, the sentiment didn't show up as well as I had hoped. So I decided to emboss over the original sentiment with black embossing powder and voila - the sentiment shows up better! It was a gamble....but it worked! I added a bit more bling and decided it was good. So hurray for second chances! How fun ,and pretty !!! Beautiful card! I like the black sentiment!